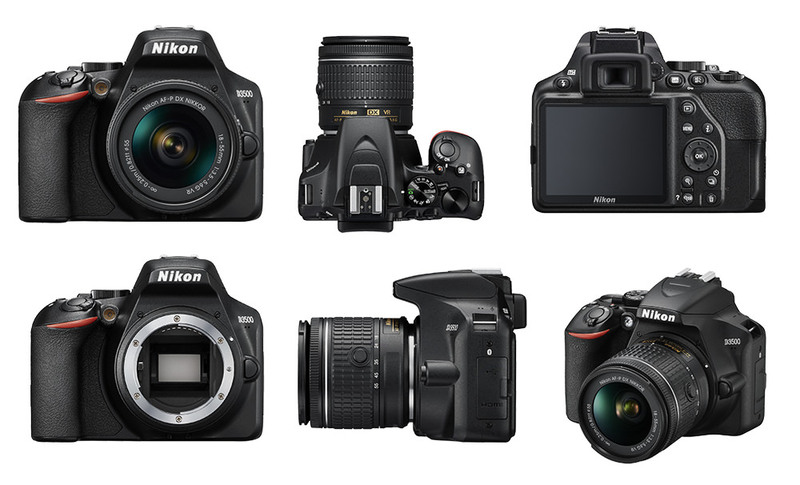 Nikon Digital SLR camera, featuring innovative components and high tech specs, is currently a rage among novice DSLR enthusiasts. Capture beautifully vibrant pictures and videos in nearly any condition with the Nikon D3500 AF-P 18 -55mm DSLR Camera. It features a DX-format 24.2MP CMOS sensor that lets you shoot sharp and detailed, attention-grabbing pictures. This high-performing camera enables you to record 1080p videos at 60/50/30/25/24p effortlessly. It features 11 autofocus points that fine-tune the settings for each shot, making it incredibly easy to capture fast-paced objects. Also, you can use the zoom capability of this camera for shooting wide angle videos or tight close-ups. This camera comes with two matched lenses for a top class photography experience. The AF-P DX NIKKOR 18-55mm f/3.5-5.6G VR lens is an exceptional choice for landscapes, videos, and other wide perspective shot. The AF-P DX NIKKOR 70-300mm f/4.5-6.3G ED is ideal for sports, nature, concerts, and more. Newbies welcome; If you can take a picture with your smartphone, you can take a great picture with the D3500. Auto Mode delivers amazing results in nearly any situation. If you want to learn while you shoot, turn on Guide Mode and follow simple on-screen guidance. Less thinking. 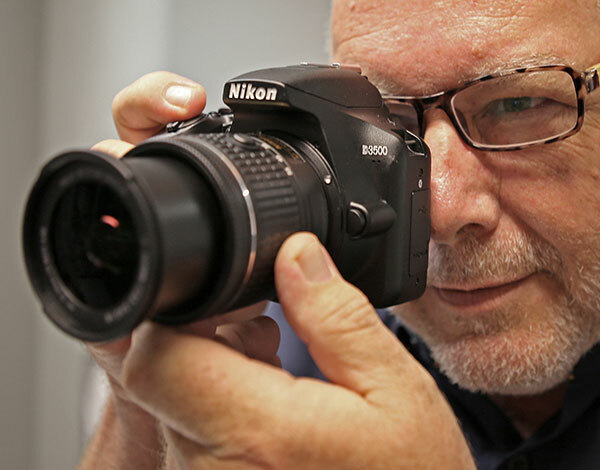 More shooting: The D3500 is fast, responsive and simple to use. You won't be stuck fussing with camera controls while a great moment passes you by. Just point, shoot and share amazing photo after photo. 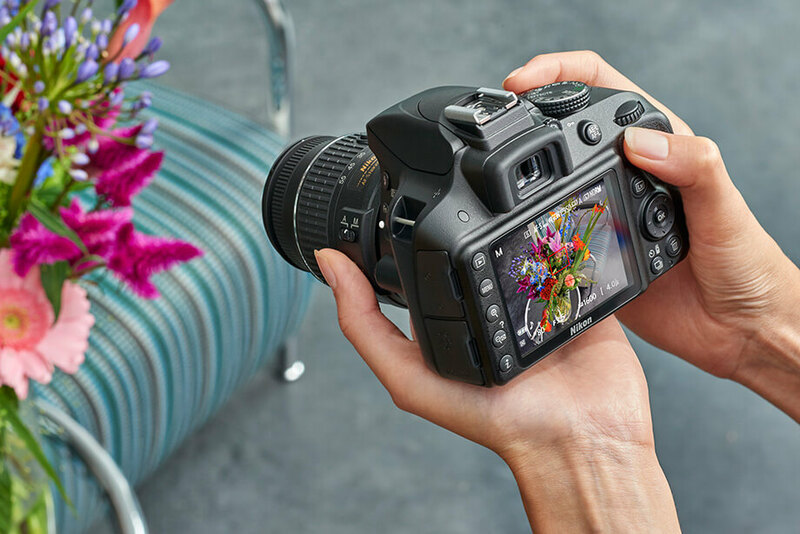 Attach the optional WU-1a Wireless Adapter and marvel as the photos you take with the D3500 instantly appear on your compatible smartphone or tablet. Share your favorite shots without missing a beat—text them, email them, upload them to your favorite social networking sites—it's your choice! You can even use your compatible smartphone or tablet as a remote monitor for the D3400. See what the camera sees and fire the shutter, perfect for self-portraits and group photos that actually include you. The Nikon D3500’s optical viewfinder gives you a true view through the lens of the camera. It makes it easy to frame your shots, follow moving subjects, zoom in on objects, and do much more. The D3500's 11-point Autofocus System locks onto your subjects as soon as they enter the frame and stays with them until you catch the shot you want. Even fast-moving subjects are captured with tack-sharp precision. And when you're recording Full HD video, Full-time Autofocus keeps the focus where you want it. Order the Nikon D3500 today and have it delivered to your doorstep within 1-3 working days or same day delivery within Nairobi. Same-Day delivery in Mombasa on selected items. Pay on delivery via Cash or Mpesa.